MzTeachuh: Summer Bump Not Slump: READ! READ! READ! 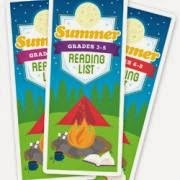 The Scholastic Summer Reading Challenge™ is a free online reading program for children.